Want to have pastel, ombre, or just any lighter colored hair? Then you’ll most likely have to bleach your hair, but getting it done at a salon is expensive, and that’s why some hair bleaches are sold on the market. But when there are different types of hair bleaches, it makes it quite the challenge to choose one. That’s why we made this guide to help you distinguish and choose between the different hair bleaches. Bleaching your hair is a long and tough journey, especially for us naturally dark-haired Filipinos. There are a lot of risks involved in bleaching one’s hair. After all, you’ll be stripping it of its natural color using strong chemicals. That’s why it’s important to understand the process and whether or not it’s safe to bleach your hair. There are cream bleaches and powder bleaches. Cream bleaches are formulated with oils and conditioners that help protect your hair. This is why most cream bleaches are safer to use on the scalp. Powder bleaches are more potent and are better for off-the-scalp usage. But with a lower volume developer, you can also use powder bleaches on the scalp. Not all bleaches are created equal, some are formulated with moisturizing ingredients or lipids. 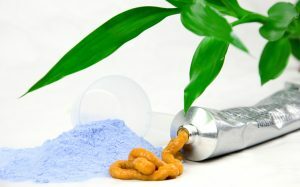 Check the label for ingredients such as keratin, chamomile, or jojoba oil, which lessen the damage caused by the bleach. 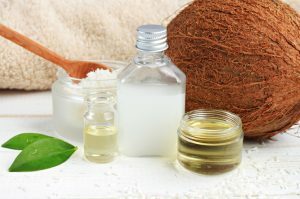 There are also good alcohols like stearyl and cetyl alcohol, which prevent your hair from drying out. While there are some ingredients you want to have, there are also some you should avoid. Some alcohols, such as isopropyl and ethanol, actually dry out your hair, so avoid those. Also, avoid bleaches that contain ammonia as it will cause further damage. One thing we want to avoid having is brassy hair, so check the label for anti-yellow properties. Blue or purple colored bleaches also slightly help neutralize the yellow undertones that show after you bleach your hair. Believe it or not, our hair color is classified into 10 levels–from black to lightest blonde. How much lighter your hair can get will depend on the strength of the bleach, developer you’re using, and the condition of your hair. Aside from a bleaching powder, you will need to purchase a developer, which comes in different volumes. 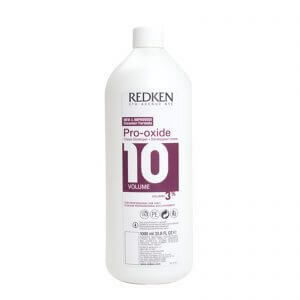 The volume of a developer refers to how much hydrogen peroxide it contains–the more hydrogen peroxide it contains, the stronger it is. There 3 volumes of developer that you can use at home: 10, 20, and 30. A 10 volume developer is the weakest and is used for gentle color cleansing. 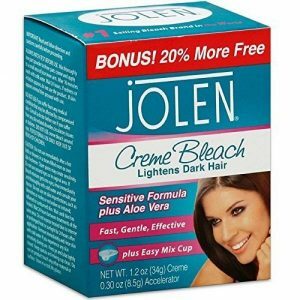 This isn’t recommended for bleaching as it doesn’t lighten your hair. It is used to for dyeing your hair 1 shade darker. 20 volume developer is the most commonly used one. It’s used for color removal as lightens your hair by 1-2 levels. It is also used to color over gray hair for longer lasting results. If you’re not sure what to get, this is the safest choice. If you want more dramatic results, a 30 volume developer will significantly lighten your hair up to 3 levels of color. But be careful, this product is harsh, so make sure to condition your hair appropriately afterwards. A 40 volume develope is one of the strongest, and it will lighten your hair by 4 levels. Although 40 volume developers are sold commercially, these are best handled by professionals. One wrong move could cause irreversible damage to your hair or scalp. 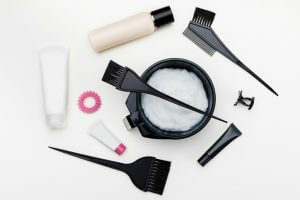 We hope you’ve learned a few more things about hair bleach, so here are a few great products you could try for yourself. 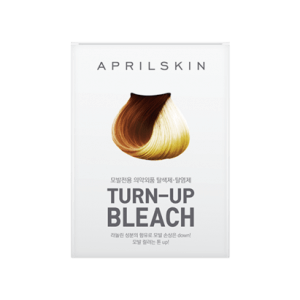 This self-bleaching kit from Korea contains jojoba oil, hydrolyzed keratin, and other ingredients that minimize the damage caused by bleaching. It’s hypoallergenic, and it also won’t cause stinging or itching. It’s easy to use, just mix the two packets together in a bowl and use a tinting brush to evenly apply it on your hair. One package only contains 30ml of product, which is ideal for hair roots or ends. You would need more than one to cover a full head of hair. This bleaching kit comes with everything you need to bleach your hair at home: a mixing bowl, a tinting brush, gloves, and a shower cap. 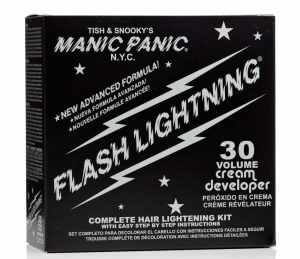 It uses a 30 volume developer, so be careful not to leave it in too long as it will damage your hair. Like most bleaching kits, it doesn’t come with much product. 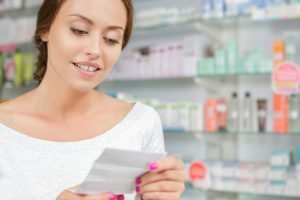 If your hair is longer than your shoulders, you will need around two packs. This bleach is very strong, so it will also work on dark hair provided that you follow the instructions. 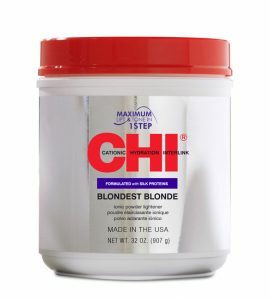 This extra strength bleach can lighten your hair color up to 7 levels. It uses a dust-free formula, so you won’t have to worry about dust particles flying all over the place. It can also be used both off and on your scalp. 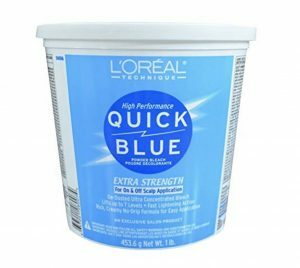 This product comes in a blue powder form, so it helps minimize the yellow tone of the hair. This does not come as a set, so you will have to buy a developer separately. If you’re planning to bleach your hair up to your roots, we recommend using a lower volume developer (10 or 20). It comes with a mixing cup and spatula for easy application. Leave this product on for 10 minutes, and you should see results. If you want to lighten your hair more, wash the product off completely, and reapply. 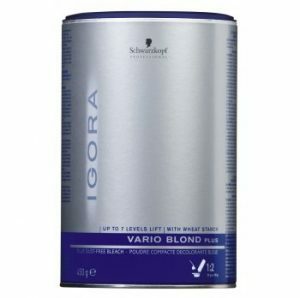 This hair bleach effectively lightens your hair up to seven levels using its Tri Lightening Technology Complex. It also has anti-yellow molecules, which make sure your hair is a nice even blonde. It can also lighten pre-colored hair–just make sure your hair is healthy before bleaching it. 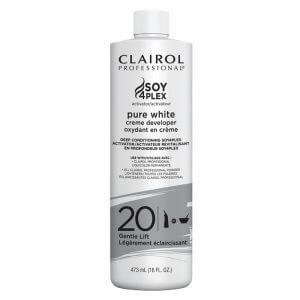 This bleach can be used with a 20 volume developer on the scalp and up to 40 volume developt off the scalp. This hair bleach does not have the same chemical odor that the others do, in fact, it has a delicate fragrance. It can lift up to 8 levels of color from your hair while causing minimal damage. It also has an anti-yellow effect, which makes sure you get a nice even blonde. 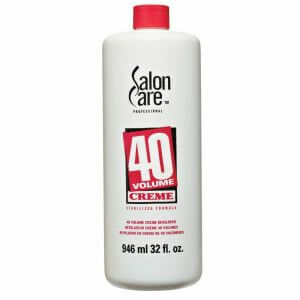 This bleach can be used with a 20 or 30 volume developer on or off the scalp; do not use a 40 volume developer with this bleach as it is too strong. Once it’s mixed with the developer, you won’t have to worry about the product drying out mid-application. 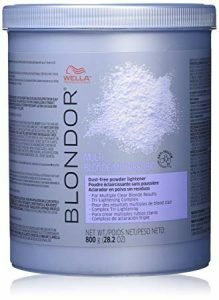 This hair bleach uses ionic lighteners to lift your hair up to 8 levels. 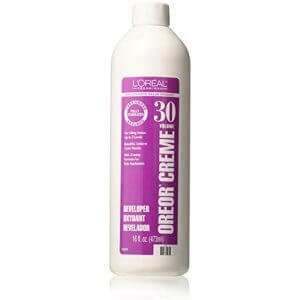 It’s formulated with silk proteins that condition and repair your hair while you bleach it. It’s gentle enough for on-the-scalp and off-the-scalp applications. Although this product can lift your hair up to 8 levels, it will depend on the volume of the developer you use. You can use a 10 volume developer to lift your hair color 1-2 levels, or a 20 volume developer to life it 2-4 levels. It is not recommended to use a 30 or higher volume for self-bleaching. Bleaching strips your hair of its natural moisture and color causing damage. This is why it is important to prep your hair before you bleach it by using a moisturizing conditioner or treatment starting a few weeks before. Also, make sure to leave your hair unwashed for around 2 to 3 days before you bleach it. After bleaching, you need to allow it to rest and recover. Also, using a hair treatment will help bring life back to your hair. Some hair bleaches will contain nourishing ingredients, but it’s still recommended to use a good treatment such as Olaplex. Depending on your bleaching product and the strength of your developer, the processing time will vary. It is very important to read the instructions and only leave it on your hair for the specified time. Make sure to do a patch test to make sure your skin doesn’t react badly to the product. You can also do a strand test to check how light your hair will get. Some self-bleaching kits will come with the necessary tools, but when you the bleaching product and the developer separately, you’ll have to purchase the tools separately too. Wear old clothes and use gloves while you bleach your hair. Use a tinting brush to apply the bleach. You could also ask a friend or a family member to help you with your blind spots. You might be wondering why purple shampoo? It’s a toning shampoo that uses the color purple to cancel out the brass color of the hair. It will keep your hair bright and cool. The journey to achieving lighter hair is long and tough, and finding the right product is challenging. Not all bleaches are the same, so never bleach your own hair without proper research. Don’t be scared though, we’re sure that with the right product and the right usage, you’ll be able to get the hair color you’ve been dreaming of.